The bandwagon against Vice President Joseph Biden's call for a "cancer moonshot" is picking up speed — and riders. The latest person to rap Biden's moonshot metaphor — contending that "decades of research have suggested…that the NASA space program is not a good comparison" — is Margot Sanger-Katz, regular columnist for The New York Times' online magazine, The Upshot. Biden's rallying cry, in hopes of finding a cure for the disease, followed the cancer death of his son, Beau. Sanger-Katz's piece cites Barack Obama's reference to Biden's plan in January's State of the Union address, and notes that the president said he was "putting Joe in charge of Mission Control" so that we could "make America the country that cures cancer once and for all." The proposed budget for the moonshot is just under $1 billion. But Sanger-Katz points out the clarion call isn't new. She reminds readers "you can see why the news media has latched onto the phrase. 'Moonshot' has echoes of President John F. Kennedy's stirring 1961 speech in which he called for a space program that could send a man to the moon and return him safely — a goal that was achieved only eight years later." She also quotes President Richard M. Nixon as saying "the time has come in American when the same kind of concentrated effort that…took man to the moon should be turned toward conquering this dread disease." As well as George W. Bush, who while running for president in 2000, called for a "medical moonshot" to cure the malady. Sanger-Katz correctly advises, however, that "we now know that cancer is not one disease, but many, with complex causes and triggers, and that there will be no single cure for all of them." She also suggests that $1 billion won't go far toward sufficiently bolstering any of the initiatives currently being placed "under the moonshot banner: vaccines for some cancers, combination drug therapies for others, immunotherapy treatments for still other types." The budgeted amount, she writes, is "a small component of the nearly $4 trillion federal budget" and badly compares with the original moonshot's cost ("$160 billion in today's dollars"), the annual $5.2 billion budget of the National Cancer Institute, or the reported $1.4 billion cost of bringing a a single new drug to market. 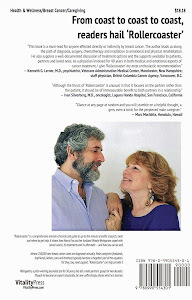 Costs of cancer research, as well as a glimpse of politics in regard to that research, are covered in "Rollercoaster: How a man can survive his partner's breast cancer," the VitalityPress book I, Woody Weingarten, aimed at caregivers. Vice President Joseph Biden's proposed "cancer moonshot" is unlikely to find a cure for the disease, according to at least one expert. 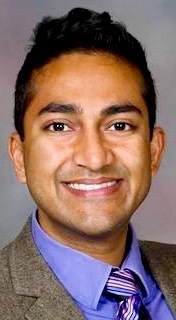 In an op-ed piece written for The Washington Post, Vinay Prasad, a cancer researcher, author and assistant prof at Oregon Health and Science University, writes that the veep's plan "evokes a sense of deja vu" reminiscent of the 1970s and the ushering in of the War on Cancer — which, he says, "was largely unsuccessful at generating better treatments." Last year was the original target data of that so-called "war." It clearly passed without a victory. Biden's proposal, which urged new funding and increased data-sharing, called for scientists to collaborate so they could overcome "cancer politics" and find a cure. He 'd apparently suggested the moonshot after meeting with almost 200 oncologists, scientists and benefactors in the cancer community and finding an excess of "competition, territorialism and resistance to information-sharing." He subsequently altered his goal to doubling the rate of progress, meaning that researchers would accomplish in five years what normally would take 10. Prasad contends the major flaw in the proposal, introduced in January by Biden following the cancer death of his son, Beau, is that "thinking you will substantively improve cancer treatment by altering how it is regulated is like thinking you can run a faster mile by buying a new stopwatch." The efficacy of cancer drugs, Prasad says, is beyond the Food and Drug Administration's control — and, regardless, "no matter what we do with the FDA, it can't produce better medicines." 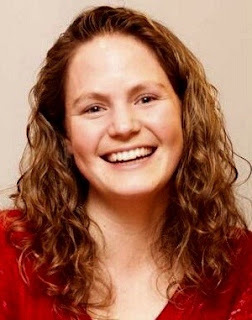 The co-author of the 2015 book, "Finding Medical Reversal: Improving Outcomes, Saving Lives," also believes "if we are going to make real progress against cancer, we must acknowledge that…marginal gains — achieved a the price of substantial cost and toxicity — are just not good enough." "A commitment to funding science generally, and not just fad projects or treatment, in time of both budget surplus and shortfall, would be a true moonshot for the United Staes. Sadly, this is the one moonshot no one in politics seem to have the courage to fight for." "Rollercoaster: How a man can survive his partner's breast cancer," a VitalityPress book I, Woody Weingarten, aimed at male caregivers, touches on how politicians have historically dealt with — and not dealt with — that disease. Question: What would you get if you brought together 10,000 scientists, clinical and support staffers? Answer: A new global hub for cancer research in London. Its aim? To deliver at least two new drugs every five years. The center, plans for which were announced this week, is expected to create 13,000 new jobs through a partnership of the Institute of Cancer Research (ICR), the Royal Marsden NHS Foundation Trust, the council of the London borough of Sutton and the Greater London Authority. Organizers are hoping the center will be "the world's leading cancer research campus," according to Professor Paul Workman, chief executive of the ICR. 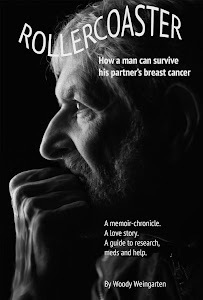 What's new in research and cancer care, in the United States and throughout the world, can be found in a book titled "Rollercoaster: How a man can survive his partner's breast cancer," that I, Woody Weingarten, have aimed at male caregivers.